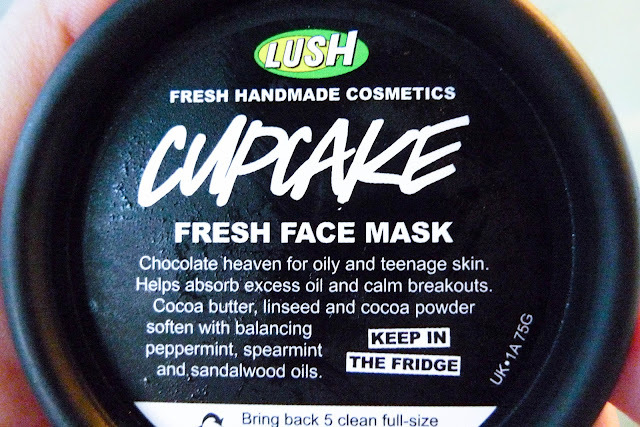 A wet cold mud half melting texture with a heavy mint chocolate scent. Looking it up close is quite gross. 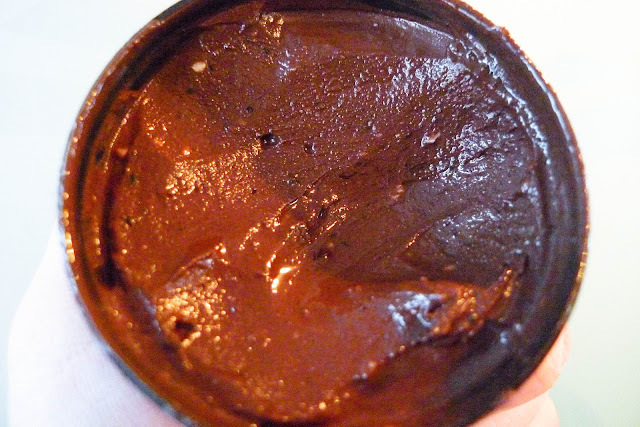 As other mud masks, this rhassoul mud mask filled with cocoa, vanilla and spearmint oil is supposed to deep cleanse by sucking out all the nitty gritty in the pores. 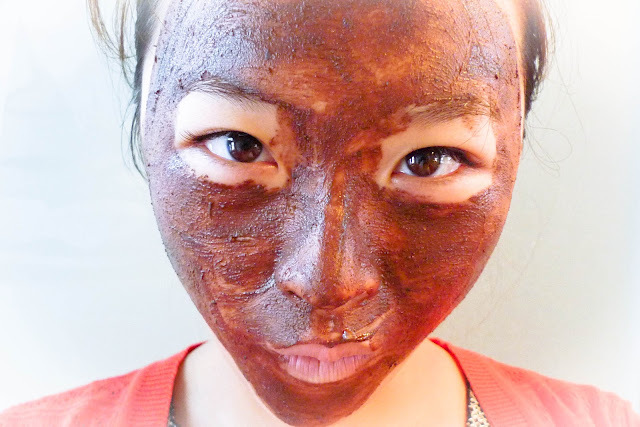 Slather in this cocoa concoction as a generous layer, wait for about 15 - 20 minutes. 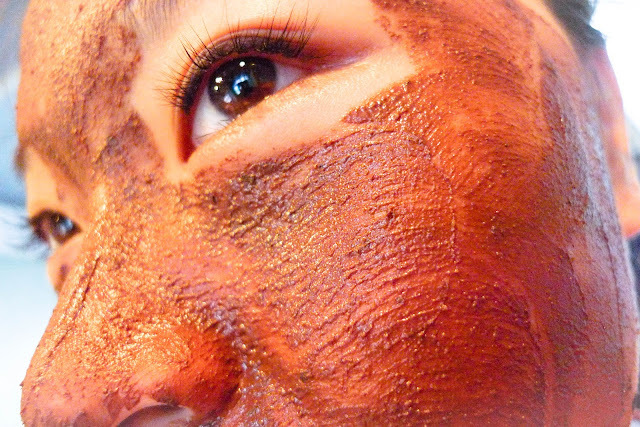 It dries quickly and does not have the tightness effect that a lot of mud masks on the market do. Made specifically for oily and teenage acne prone skin, I must say it works just as fine on my combination skin if I tone it down to using it twice a week, or only use it the t-zone. The result is spectacular! My skin has never felt this clean. The blackheads becomes unnoticeable when with a close look. All the slight bums, whiteheads are also gone. The first time I used this I was in shock - I did not know my skin could feel as smooth and cleansed without that tight feeling. I highly recommend it if you use foundation / BB cream daily like me. Cheers to Lush! 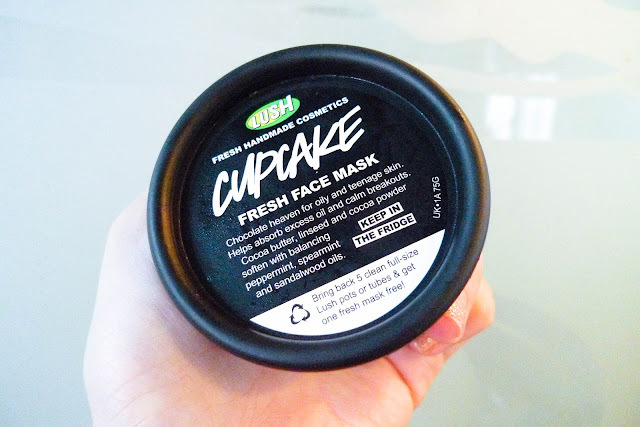 Another awesome products :) Have been trying out A LOT of face masks and this is definitely one of my current favorite ones!